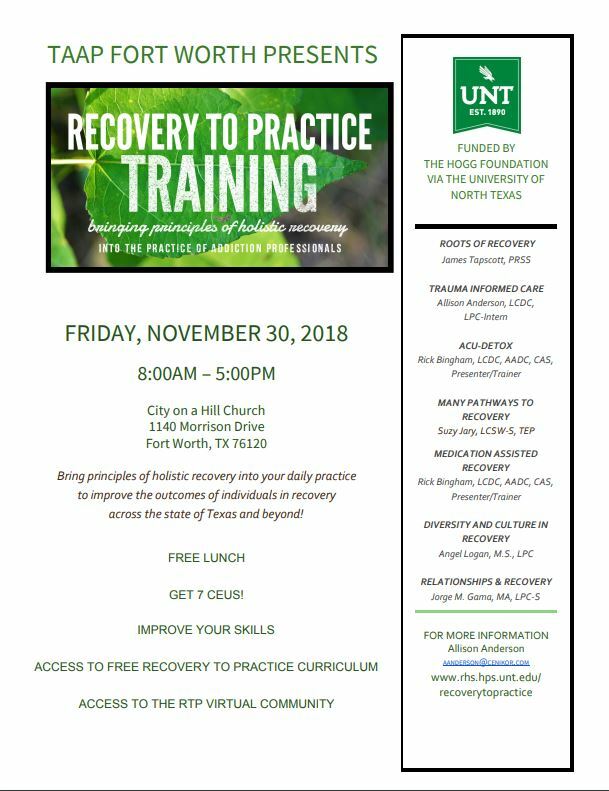 Join us for our Recovery to Practice Training on Friday, November 30, 2018! Make sure to answer the three questions in order to be approved. The purpose of this group is to share our concern and passion for recovery, principles of recovery, and how we can learn how to do what we do better by interacting, sharing knowledge, and growing in our understanding of holistic, recovery oriented care! Below are the links to the PowerPoints for our Recovery to Practice training we held on February 23, 2018. 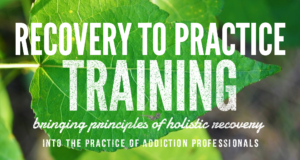 Recovery to Practice is an initiative to encourage recovery-based principles and practices for addiction professionals and students across the country through education and training. Essentially, Recovery to Practice promotes a more concise understanding of what recovery is, how to utilize recovery-oriented practices and the roles of behavioral health professions in this process.